The Administrative Director is part of a management team that is responsible for providing direction, leadership, support, and guidance for the operation and planning of all surgical services in both the Dr. Everett Chalmers Regional Hospital and the Oromocto Public Hospital. The Administrative Director plans and directs nursing practices and processes and ensures the delivery of nursing services which align with established standards of care. The Administrative Director will work in partnership with the Clinical Department Heads of the surgical department, facility management and the Horizon Surgical Network. Significant clinical experience in an acute care hospital setting. OR Nursing experience preferred. Demonstrates considerable progressive administrative and management experience in the health care field, or equivalent combination of skill and experience. Ability to establish priorities, and frequently deal with matters of confidentiality and/or sensitivity requiring maturity, diplomacy, discipline, and tact. Demonstrated ability to effectively deliver interdisciplinary health service programs. Commitment to a patient-focused, action-oriented environment. Demonstrated skills in coaching, mentoring, leading, facilitating, team-building, decision-making, and conflict resolution. Demonstrated ability in planning, budgeting, information analysis and reporting. Good health and work record. Ability to travel throughout the Area and the Province, and must have a valid New Brunswick Driver's License. Develop an annual operational plan which is aligned with Horizon Health Network's strategic plan and operational plan. Develop the program's quality improvement plan. Establish processes for service delivery. Oversee operational plans, policies and procedures for clinical services and provide leadership and expertise for the effective and efficient management of patient care delivery. Use appropriate tools and mechanisms to measure, monitor and evaluate initiatives designed to improve patient care outcomes. Will use program surveillance metrics to manage all aspects of the operations. Ensure the effectiveness of patient safety monitoring, review and control systems to ensure safe and quality patient care and the adoption of standard processes to maintain and improve clinical outcomes. Ensure mechanisms are in place within the program for promptly addressing patient comments, questions and concerns. Deliver the Program within the allocated resources. Develop, monitor and analyze staffing, operating and capital budgets for the program. Will allocate and manage available resources within these budgets. Develop effective and efficient practices and processes to measure the use of resources and the quality of care rendered within the allocated budget. Promote a milieu conducive to open communication, positive attitude, and optimum team member development. Will ensure the provision of an inter-professional work environment through the maintenance of working relationships with professional discipline leadership and support service leadership. Provide leadership and support to the nurse manager group. Will implement performance development and performance management processes. Ensure that professional practice standards for the delivery of patient care are maintained by the appropriate managers. department heads, or director of nursing practice, as appropriate. Issues concerning physician practice standards will be referred to the clinical department head. Work collaboratively with the Administrative Director Group of the Fredericton Area, and the facility's management team, to ensure collaboration and patient continuity of care across all program areas is maintained and enhanced. Actively participate within the various Horizon networks and other committees where participation is desired. 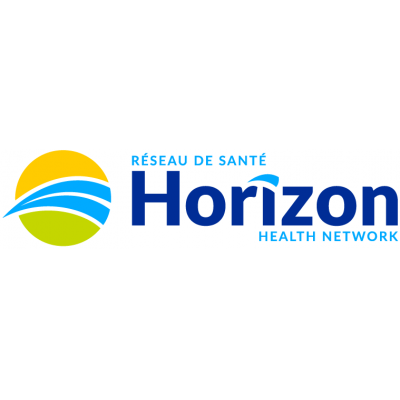 The Administrative Director is directly accountable to and through this reporting relationship, to the Executive Director, Fredericton area for Horizon Health Network. Heads, and all other stakeholders, including community stakeholders. Assumes regular responsibility for Administrator On-Call for the Fredericton Area as per established schedule. NOTE: The above responsibilities are the basic and prime duties; related and allied duties may be reassigned from time to time as may become necessary for the operation of the programs. Please quote Competition # 2018- 35099a -External . Horizon Health Network appreciates expressed interest, however, only candidates considered for an interview will be contacted. Human Resources Department, Horizon Health Network.